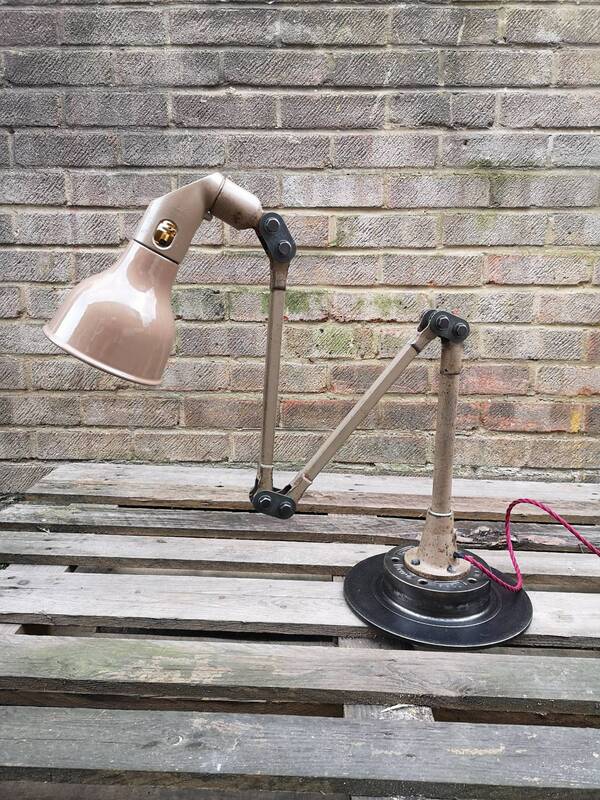 1930s Industrial Task Lamps By Mek Elek London. 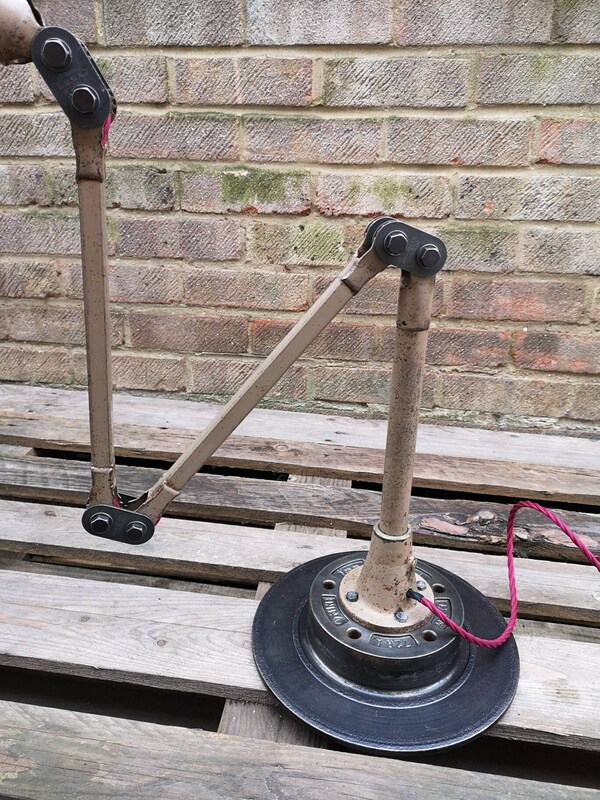 Articulated Industrial Task Lamp Fitted To A Heavy Iron Base. 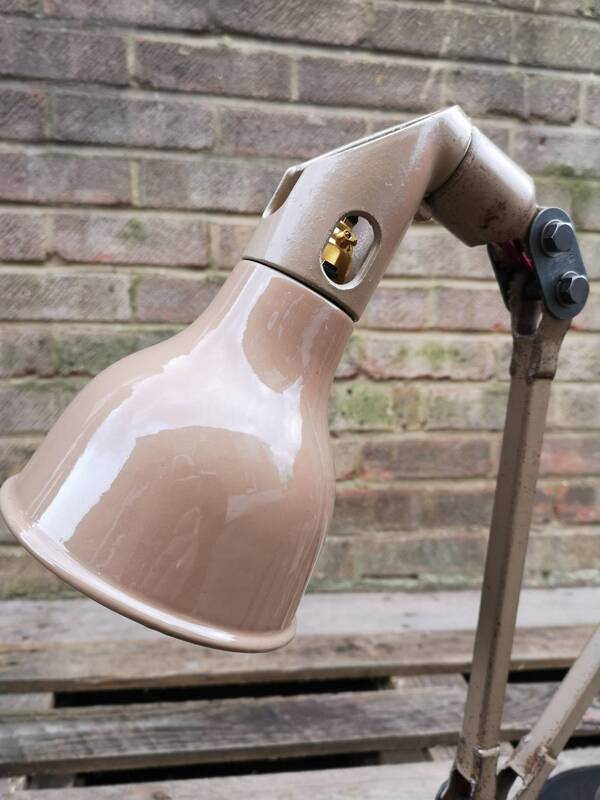 Quality British Design & Build All In Exquisite Age Perfect Condition. 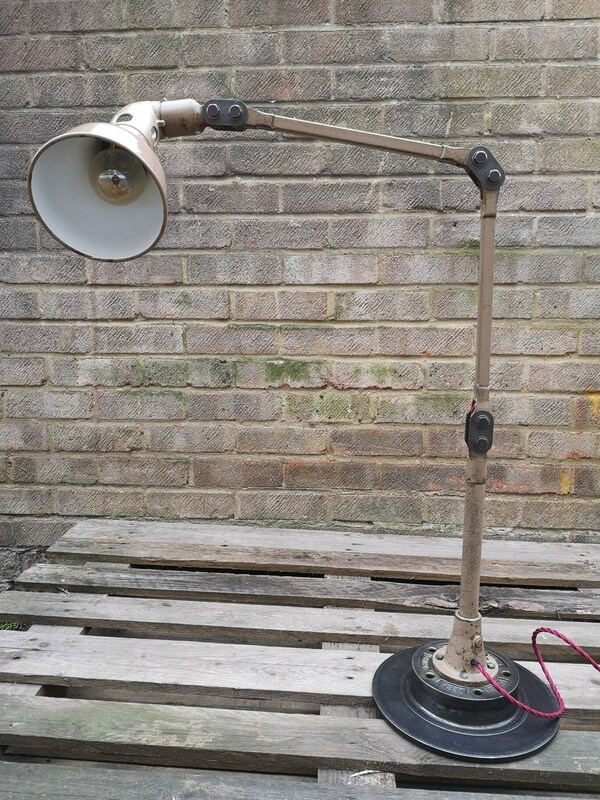 This Lamp Was Originally Used In Factories, So Will Have Signs Of Age Related Use. 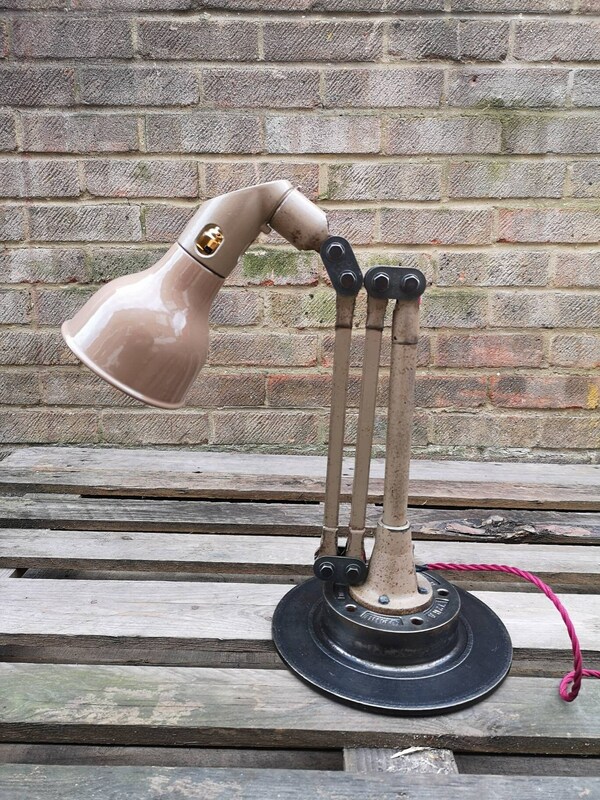 This Lamp Is Originally Made As A Wall Mountable Lamp. 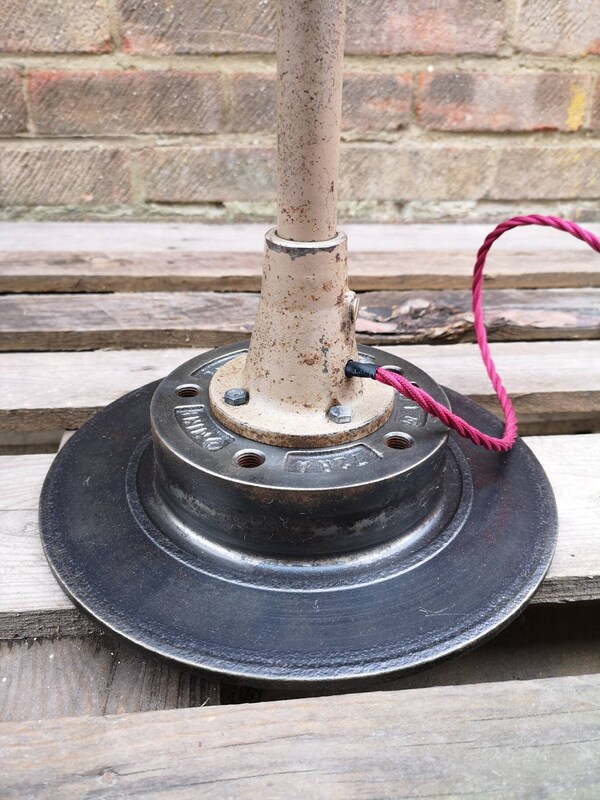 We Have Mounted The Lamp On A Heavy Base To Be Used As A Table Or Desk Lamp. 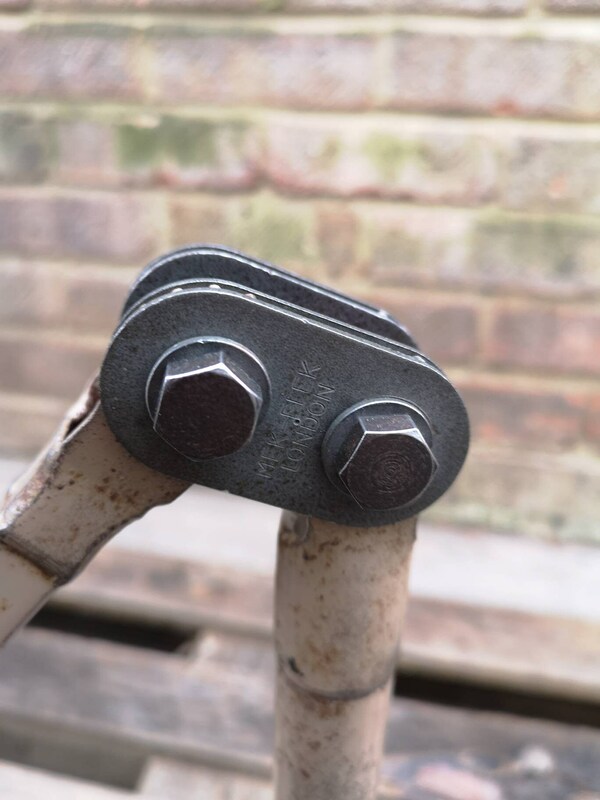 Removing It From The Base & Mounting To The Wall Is Simply Done By Just Removing The Mounting Screws. 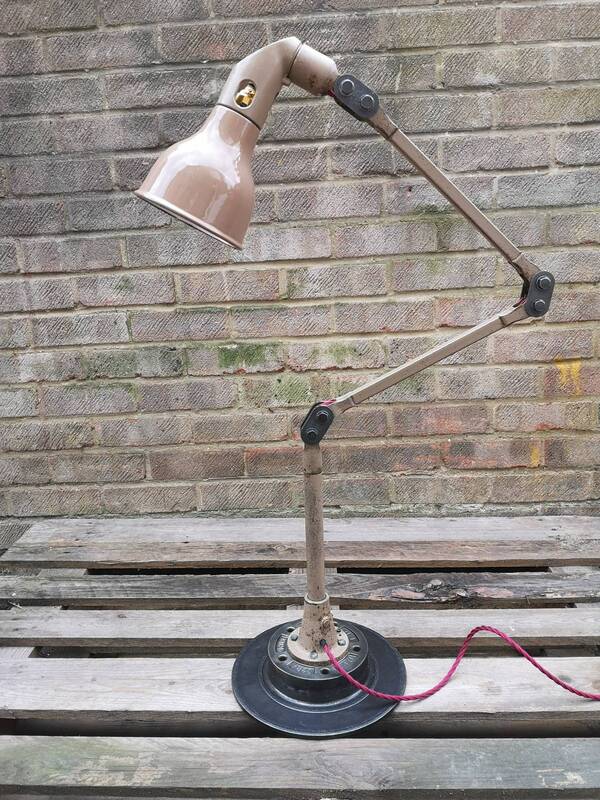 Burnt Beige Colour, With Steel Areas. 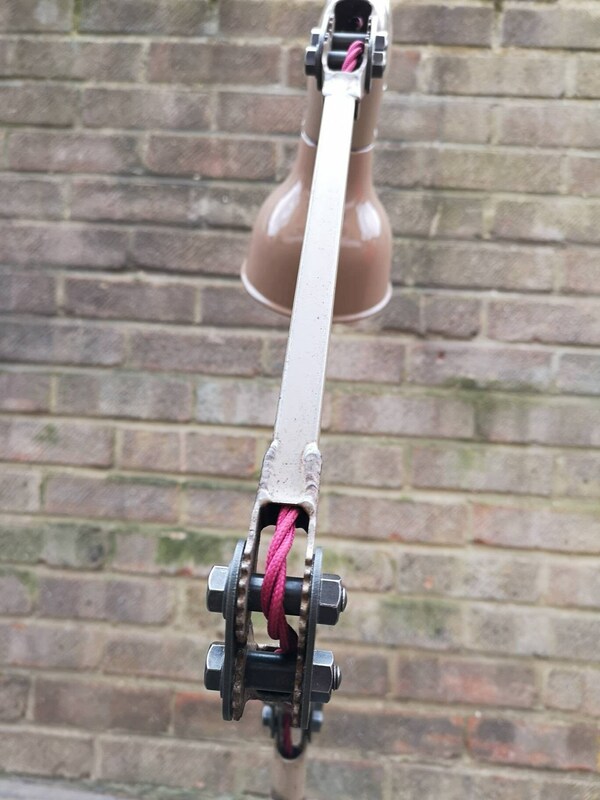 Cleaned & Clear Lacquered But Kept Original As Found. 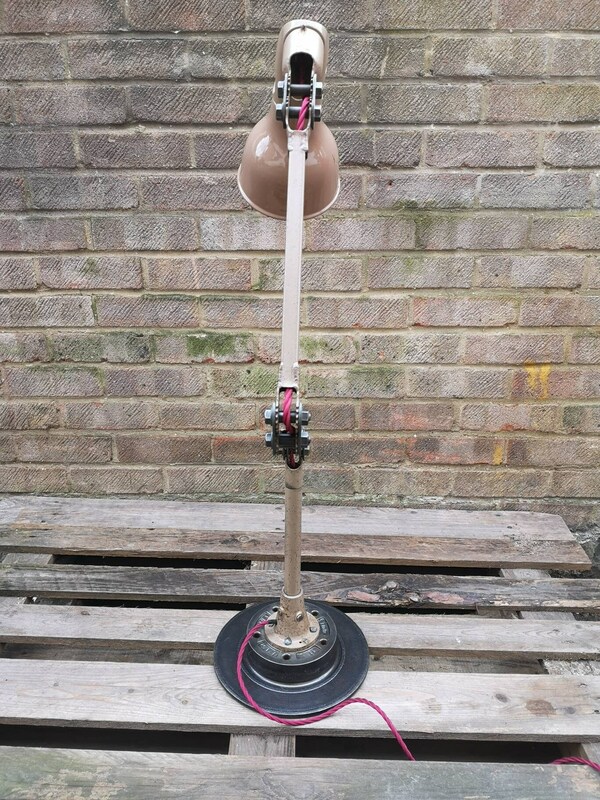 Height 130cm ( Fully Stretched ) Width 14cm ( Shade ) 26cm ( Base ).